Matatu recruits the DJ duo for a night of cross-cultural music and connection. DJ Anjali and the Incredible Kid will make you forget about Top 40. If you're looking for an immersive cross-cultural experience, you probably aren't hitting up a nightclub. That's where DJ Anjali and the Incredible Kid want to change your mind. 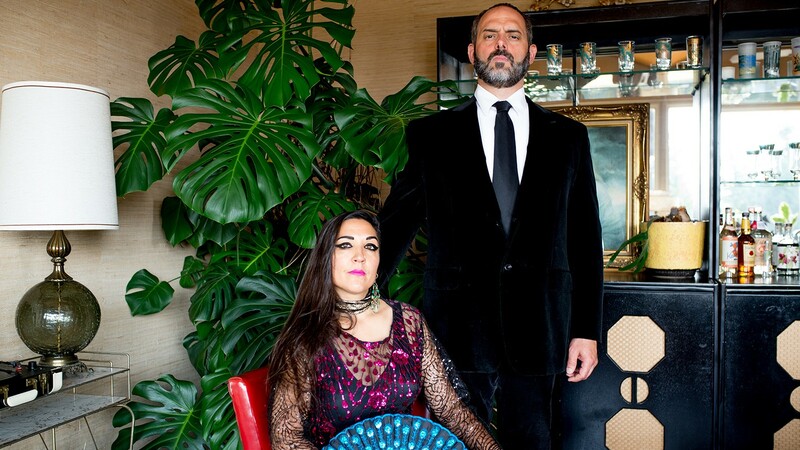 In their third event with Oakland's Matatu Festival, the Portland, Ore. DJ duo will present their "Tropitaal Desi-Latino soundclash" dance party — an energetic, weird, and vibrant mix of Indian and Latin club music that will make you forget all about Top 40. Since 2012, the Matatu Festival has been bringing spectacular storytelling from around the world to the East Bay. It has expanded from a collection of film screenings to a multimedia voyage that includes poetry, concerts, and dance. The name comes from the Kenyan Matatu, but the concept of ride sharing is universal; so are the stories and conversations that emerge naturally from rubbing shoulders with strangers on your journey from one place to another. The sixth iteration of Matatu, ending Nov. 24, includes a "pay what makes you smile" model — an opportunity for people to donate and volunteer to support the festival's cause and also ensure nobody is turned away for a lack of funds. "We are reclaiming philanthropy, inviting everyone into the bus," said Matatu program coordinator Michael Orange. "It's been remarkable and it's affecting the volume of our audience. We are seeing more elders, more young people, more people curious to learn about adjacent perspectives. It's amazing." The lineup's performances are vectors, stops along the way that facilitate conversations about diaspora and community. DJ Anjali and the Incredible Kid's dance parties are especially relevant; "The Indian Diaspora is facing many of the same identity challenges in Portland as the African Diaspora faces in the Bay Area," Orange told San Francisco Bay View earlier this year. "It's funny because the Tropitaal format, like Latin diaspora and South Asian diaspora, is such a California sound," said Anjali Hursh, referring to the Latinx and South Asian communities in Northern California — immigrants of all economic backgrounds who made California their home, whether it's working class Punjabis or tech workers. "It just felt like a natural fit for us when we started our Portland version of that party five-and-a-half years ago. It's funny that two DJs from Portland come down to play a California sound." It's one thing that sets the Bay Area apart from the duo's Portland home base. Their Andaz and Tropitaal parties have found so much long-term success over the years, "because Portland is such a white city — the least diverse major city in America," explained Stephen Strausbaugh, aka the Incredible Kid. In fact, Portland is the whitest major city in America: 76 percent of the population is Caucasian. DJ Anjali and the Incredible Kid are able to provide a "connection to something cultural outside of [Portland's] white monoculture." That doesn't mean that DJ Anjali and the Incredible Kid are going to let anybody get too comfortable with their mix of bhangra, cumbia, and reggaeton. "The chances of anyone recognizing everything are very, very slim," said Strausbaugh. "We like to play for people who both know some of the music very well and have a connection to it, and for people for whom it's all new and exciting. ... When everyone gets together and you get a whole mix of people who are experienced and inexperienced — we love that sweet spot." For Hursh, dancing and music are a way for her to connect with her own cultural identity. She identifies with the alienation that mixed-race people often feel from their own heritage. Playing and dancing to music is a way for Anjali to feel connected regardless. "Not all of us who grew up in households with Hindi or Punjabi or Spanish actually know how to speak our parents' language, but we can share our culture on the dance floor," she said. "And then at that point, it doesn't really matter if you understand the lyrics because they're hard to understand anyway." In this way, DJ Anjali and the Incredible Kid are challenging stereotypes that most people have about night clubs. "I think most club nights are kind of about hooking up or checking people out. Not everybody goes to the club for that," said Hursh. She sees the dance floor as a space that can facilitate greater personal connection, "exposing people to each others' music, but then also exposing each other just physically on the dance floor, too." At their core, Matatu and Tropitaal share an overriding emphasis on inclusion and acceptance. Everybody is welcome to be a part of this journey no matter where they come from or how much they know, and there is a mutual understanding between artists and participants that these experiences are intended to educate and expand the boundaries of traditional thinking. Malkia Gordon's multi-disciplinary art show serves as a platform for conversation and risk-taking.